Today is the launch of the new Blair Archival Research website design and you may notice a few things have changed. You will find pages with links for genealogy websites to help you with your research in Canada, Ireland and Scotland. If you want to know where I will be speaking you can check out the News tab for my Events page. 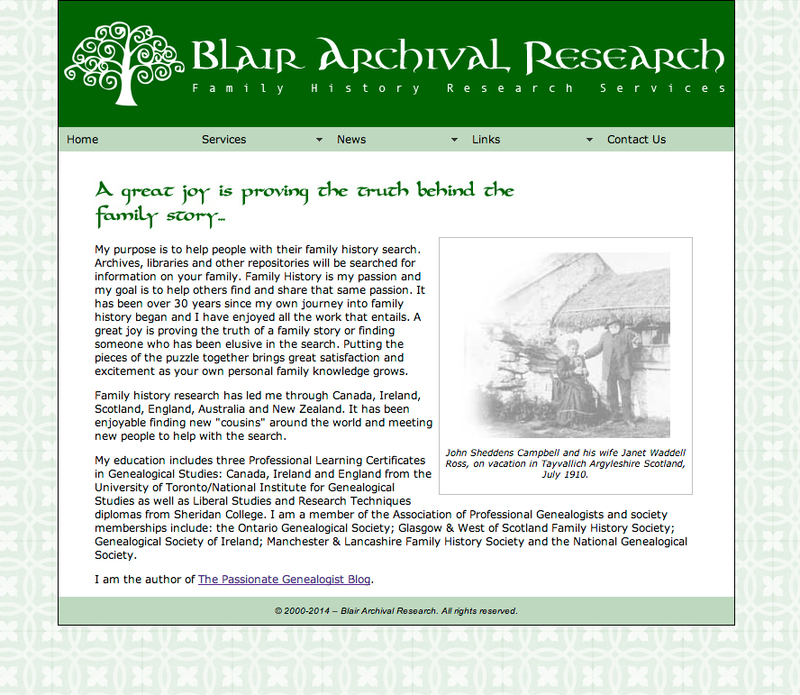 Blair Archival Research can help you with your family history research. Send an email with details of the family you are interested in or give us a call to discuss your project.